I haven’t been out hunting much but I have been keeping plenty busy. 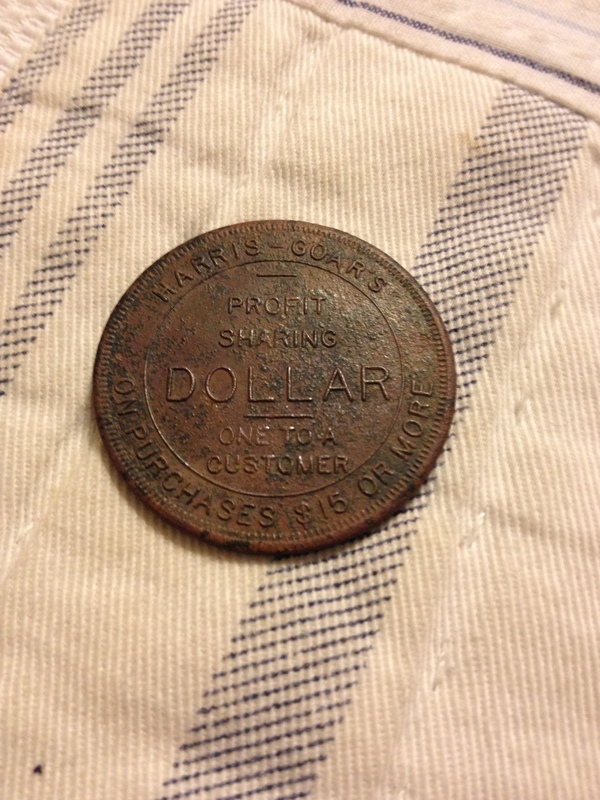 Last week I detected for a little while and found a token from somewhere between 1905-1920. It is from a store called Harris-Goar. It is an interesting token and an interesting story about the way they did business. I have to give credit to Pulltab Miner for helping me research this find and I am now familiar with google books. You can check it out by clicking on this link. 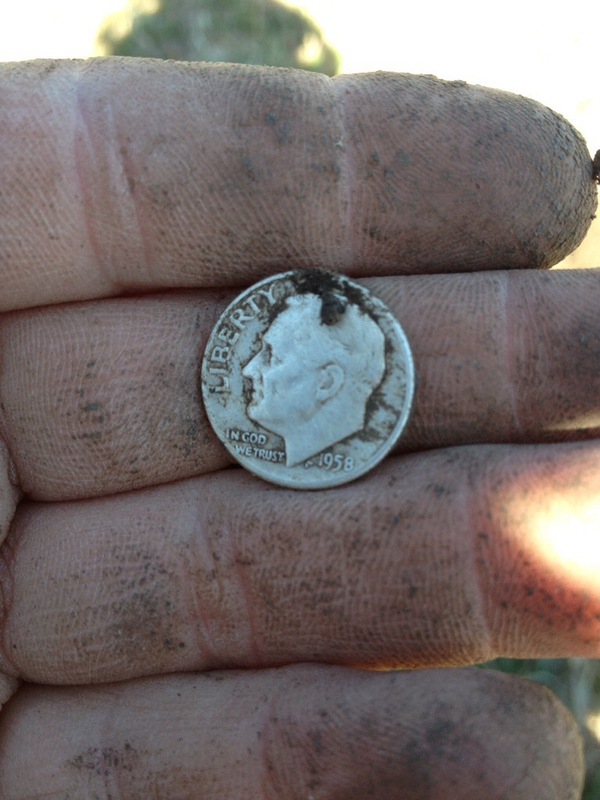 This morning I got out detecting with the two youngest boys and we decided to go to silver city. Silver city has produced many old coins and has a huge playground, soccer fields, and basketball courts which keep the boys occupied. I chose to hunt with the Ace 250 with the 5 x 8 coil on it. I have to tell you this is one of those sites that I thought was drying up but with that little coil the ground seemed to be more alive. I started out finding mostly clad but then I got a deeper coin signal. Sure enough it was a wheat penny. I then managed a deep nickel that ended up being a dateless Buffalo. In the end I didn’t find silver but I did end up with two wheats and the buffalo. The weather is warming and today was nice except for the massive amounts of wind that we experienced. Well this weekend was kind of a blur. It started at 5:45 Saturday morning. I loaded up the V-Star and I was off to coach my first MSF class of the season. The temps were cool so we saved the riding portion of the class until after the classroom portion. Everything was great until our last exercise… That is when the rain came. Not just sprinkles either, it was a downpour. Anyways we adjourned class until Sunday morning. After getting everything in order I headed home with rain gear on. About a mile into my 10 mile ride the hail started. Pea size hail is no big deal when you have all your gear on. Sunday morning we again started in the classroom because it was spitting moisture while being 33 degrees with a pretty stiff breeze of 15 mph. It was brutal and we decided to call off riding exercises for the day. I had to take the eldest Ukena boy to his cousins birthday party in Wichita.. I decided to get some detecting in and I returned to the school yard that I discussed in my post Kicking around. I found an area that was rich in coins that I had not hunted before. 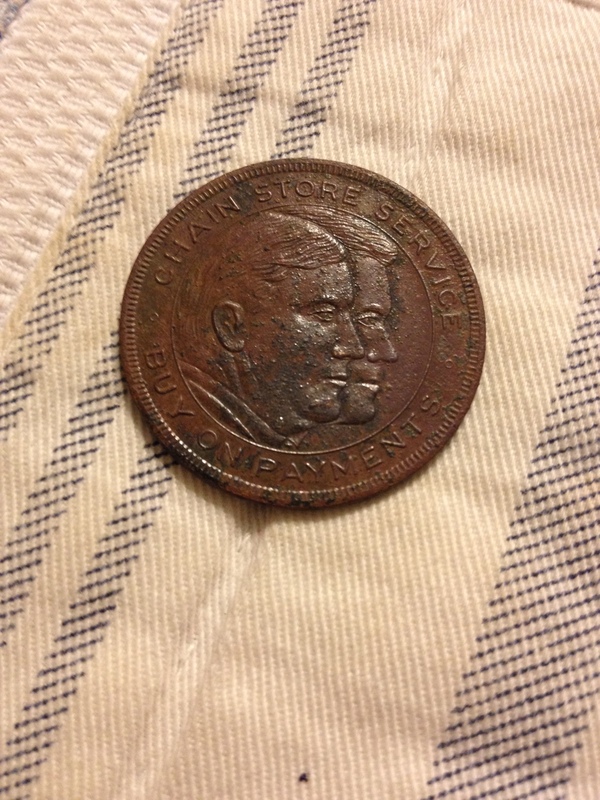 I dug several old clad coins and I knew silver coins were lurking. Sure enough about an hour in I was blessed with some silver. I hope to spend more time here and find a few more. This may be my shortest blog post ever. Spring is in the air people… Why sit around and read our silly blog. 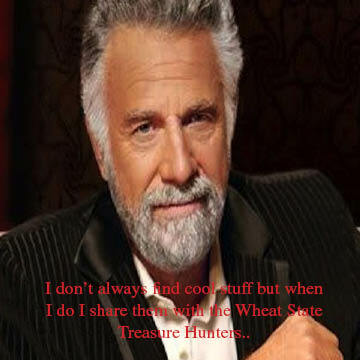 Get out there find some cool stuff and then share it on our Facebook page and bring it to a meeting. We love seeing what people find!